Skip brings over 35 years of experience in leadership positions for Silicon Valley technology companies. Skip is the author of the book and blog, Finding God in Silicon Valley. He is also an adjunct professor in the MBA program for William Jessup University and currently sits on the boards of Carpenter’s Code and New Beginnings Community Church, Redwood City, CA. He serves as chairman of the Silicon Valley Prayer Breakfast; and a member of the advisory board of Transforming the Bay with Christ. Skip earned an A.B. in economics from Harvard College and an MBA from Boston University. 1Flourish Capital is Venture firm that is developing an eco-system of highly experienced Venture Capitalists, Angel Investors, Startup CEO’s and Fortune 20 senior executives who seek to invest their capital and time in creating the next generation of great companies. According to the Harvard Business Review, CEO’s who displayed the strongest values including Integrity, Responsibility, Forgiveness and Compassion had a nearly five times higher ROA compared to the lowest researched CEO’s. We seek and support only entrepreneurs that recognize the importance of principled character and culture as integral to the development of high-performance companies. 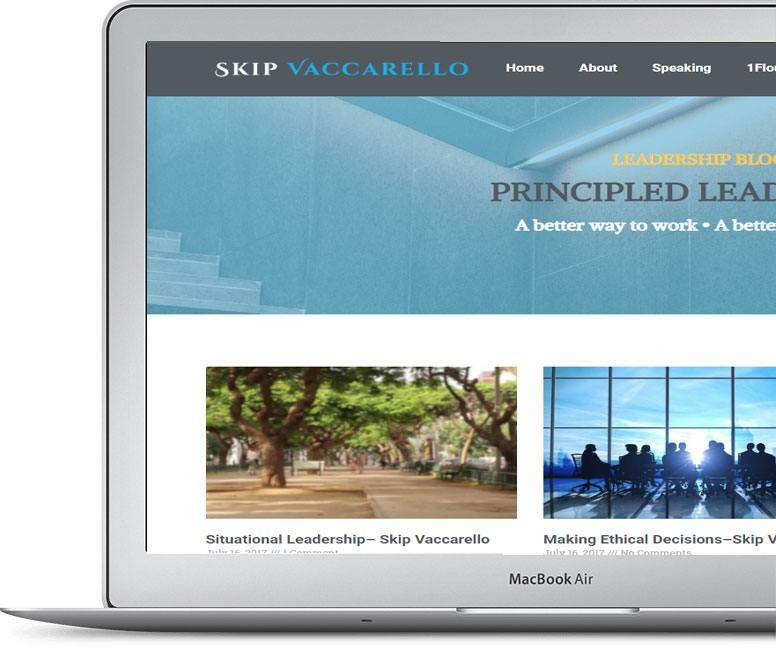 Skip Vaccarello shares knowledge from his career and personal experiences to help others become better leaders while they develop a more meaningful life. From video training, blog posts, interviews and Skip’s new podcast, LeadershipU is a valuable resource for leaders. Leadership updates straight to your inbox. Skip is available nationwide to give insightful, motivational talks at businesses, conferences, community organizations, schools and universities, and churches.